Released at the Google Marketing Live 2018 event, Google Smart Shopping campaigns created quite the buzz amongst advertisers. Since their launch, Google Smart Shopping campaigns have been adopted by some of the largest advertisers around, with great results to show. Now that we’ve had a chance to put Smart Shopping campaigns to the test and see how they work and perform, we thought we’d dive deeper into their benefits and drawbacks. Simplify your campaign management, maximise your conversion value and expand your reach with Smart Shopping campaigns. The main difference between the regular Google Shopping campaigns and their new Smart Shopping campaigns is that Smart shopping uses the latest machine learning technology to make processes a lot more automated. The regular shopping campaigns require lots of setup and management. From the set up of product groups, bids and campaign priorities to implementation of negative keywords, Shopping campaigns generally involve some quite lengthy processes. Smart shopping campaigns eliminate manual processes, allowing advertisers to focus more on high-level things. What are the benefits of Smart Shopping? The new Smart shopping campaigns require very little maintenance after setup. Their features include an expanded reach across all Google networks, as well as a new smart bidding strategy which allows advertisers to ‘maximise conversion value’. Smart Shopping campaigns have an expanded reach across all Google networks. Your shopping ads will be served to users not only on the search and shopping networks but on the display network, YouTube and Gmail too. Whilst other automated bidding strategies, like Target CPA, aim at generating conversions, the new ‘maximise conversion value’ strategy aims at generating revenue. It aims to generate as much revenue as possible out of a given budget. Smart Shopping campaigns can unlock 20% more conversion value than standard campaigns. Currently, the new Maximise Conversion Value bid strategy and the well-established Target ROAS strategy are the only bidding strategies available for Smart Shopping campaigns. There are definitely benefits to the automation of Smart Shopping, however there are some drawbacks too. Negative keywords are not available therefore giving less control over the context in which ads can appear. Location targeting is not available – you can set the country of sale, but you can’t target specific regions or exclude certain cities. Device targeting & bid adjustments are not available. Ad Schedule is not available so ads will run 24/7 and there is no option to change this. Much less control over when & where your ads appear. Unable to report on performance from the different networks separately. For many advertisers, these drawbacks and general loss of control over campaigns will mean that Smart Shopping is not an option for them. 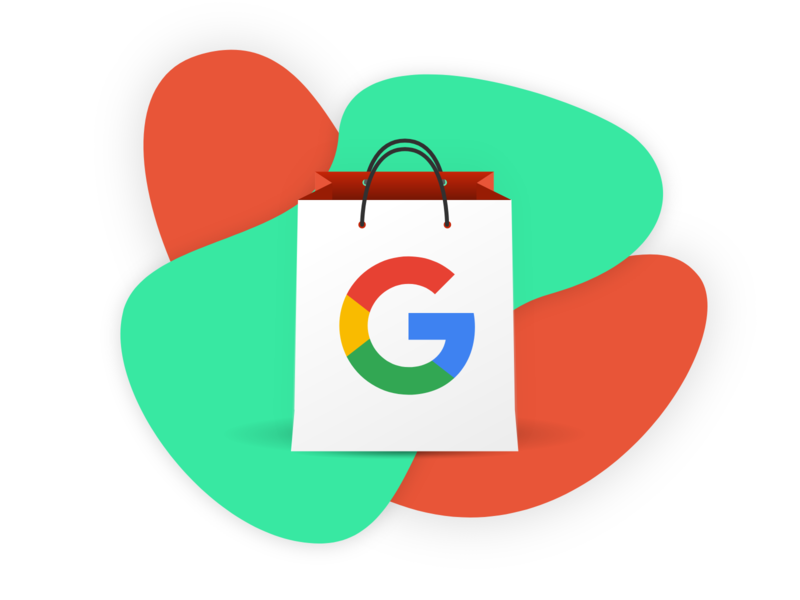 Before setting up your Smart Shopping campaigns, you’ll need to make sure your Google Merchant Centre account and product data feed are setup. You should also check you meet the Google requirements to run Smart Shopping campaigns, which you can find here. To start setting up Smart Shopping campaigns, add a new campaign from your Google Ads account. Select your campaign objective and choose ‘Shopping’ as your campaign type. In the campaign settings, choose the ‘Smart Shopping’ campaign subtype. Next set your daily budget. This is also where you will set a target ROAS if this is applicable for your campaign or business. Upload your assets, including your logo, high-quality images and messaging to represent your business. Tip: Allow at least 15 days for machine learning to optimise your campaign before making any changes. A good benchmark for your Smart Shopping campaign budget is the historical daily spend for your current standard Shopping campaigns. The new campaign will then automatically maximise your conversion value within the given budget. Google suggests allowing the new Smart Shopping campaigns to run for 15 days before starting to evaluate performance. This time period allows the automated bid strategy and machine learning to adapt and begin optimising the campaign most efficiently. Before assessing campaign performance, make sure you have enough data to evaluate. Generally, 2-3 weeks after the learning period will provide enough data to fairly evaluate the campaign’s performance. If you have a target ROAS set, it could be restricting your campaign and its ability to fully spend the budget. If you can, try lowering or removing your ROAS target to see if conversion value can be improved. If you don’t want to opt in all your products straight away, start by testing specific product ranges. Set up a Smart Shopping campaign including only the product groups you want to test, and make sure to exclude these products from your regular Shopping campaign. That way you’ll be able to see how Smart Shopping performs across a small range of products before committing your entire product range. Optimising your product data feed attributes (like titles, descriptions, and images) is a standard best practice for Google Shopping. This best practice also applies to Smart Shopping campaigns. Using Google Smart Shopping campaigns as part of your wider PPC and digital strategy will help increase the reach of your ads to generated more sales and ultimately boost the value of your e-commerce conversions. We help deliver paid search campaigns that convert and boost your online growth. Speak to one of our experts today for more information.